The hit musical from Broadway is returning for a limited engagement this holiday season in Manila. They opened last December 26 and will be closing this weekend. 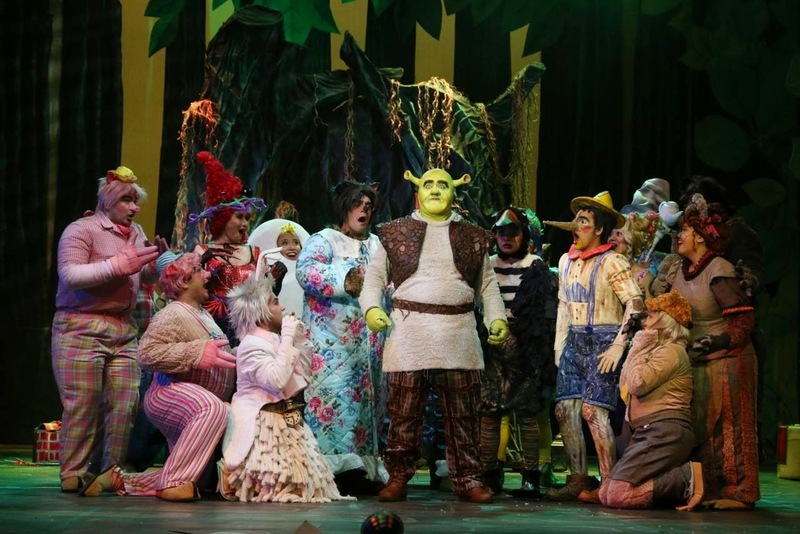 If you haven't seen Shrek the Musical the last time it conquered Manila, then this is probably the only chance you can experience this fun family musical this year. Based on the 2001 hit animated feature from Dreamworks animation, Shrek tells a story about a creature feared by many and loved by no one.One day, he is forced to rescue a long lost princess to be able to reclaim his home which is now swarmed by fairy tale characters from the Kingdom of Duloc. Now he embark on a journey that is about to change his destiny as the fearsome ogre they call Shrek. 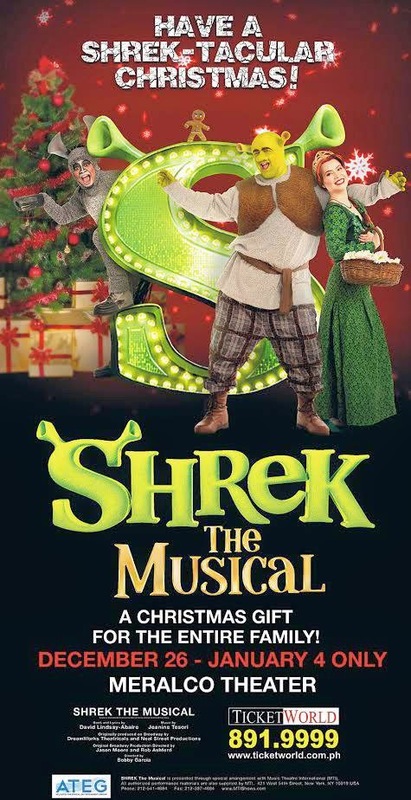 Book and lyrics written by David Lindsay-Abaire (Rabbit Hole), and music by Jeanine Tesori (How to Succeed in Business...), Shrek the musical is born on December 2008 in Broadway who run for 12 months and closed on January 2010. It went on a US Tour after that and finally reached West End on June 2011. 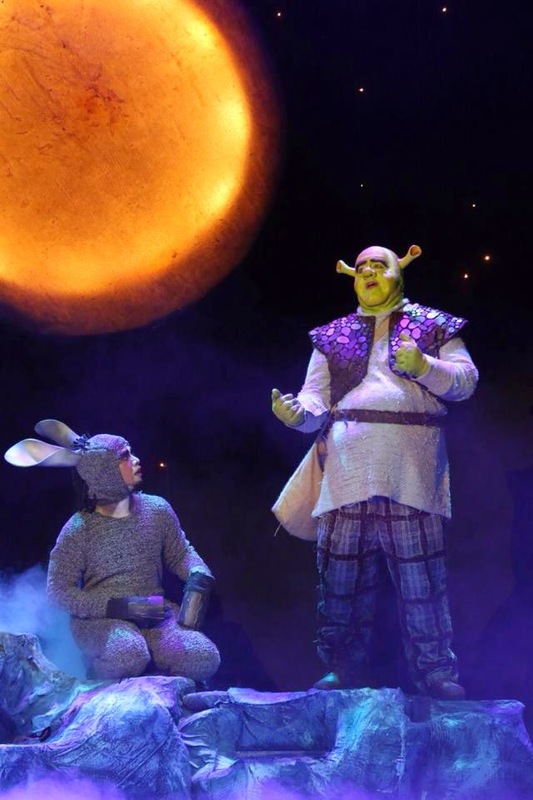 And then after that is history, Shrek now goes global as international Theater companies apply for the staging rights of this spectacular musical. Cast includes Carla Guevara-Laforteza (Nine), Lorenz Martinez (You're a Good Man Charlie Brown), Nel Gomez (Grease), Nyoy Volante (Rock of Ages), Shiela Valderama-Martinez (The King and I) and Rycharde Everley (Spelling Bee, Avenue Q) returning to Manila theater scene as the title role Shrek. 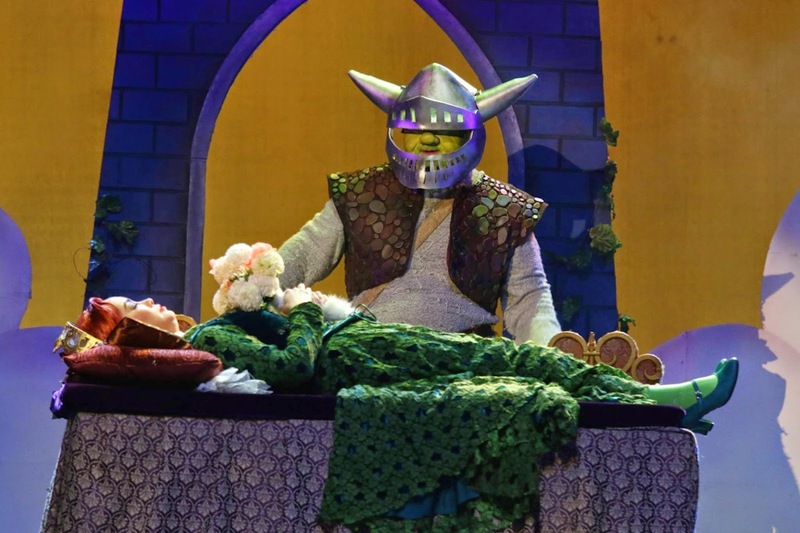 Directed by Bobby Garcia, Shrek the musical is closing on January 4 at the Meralco Theater Pasig City. Book your tickets now at Ticketworld or call them at 8919999. Celebrate the new year with your family and watch an awesome show from Atlantis Theatrical Entertainment Group.